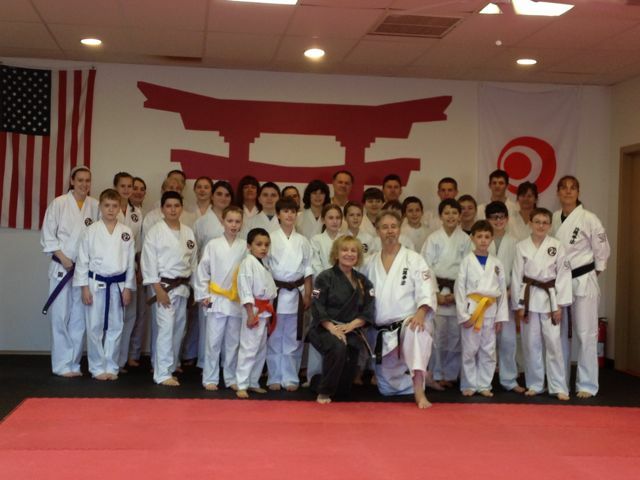 A group photo of the participants at the Heilman's visit to the Holzworth Dojo. 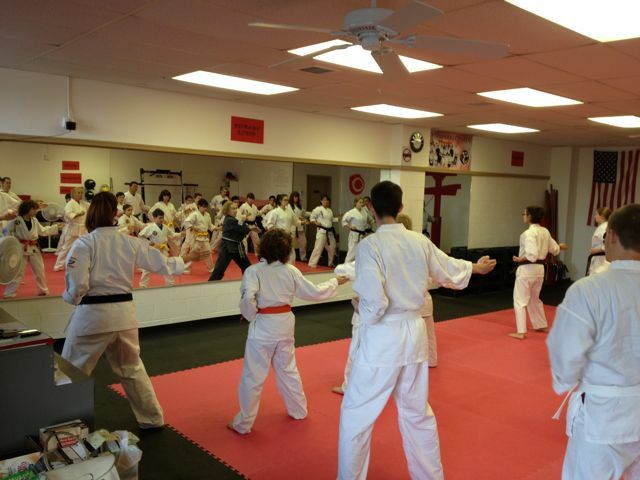 Kyoshi Ann-Marie Heilman leading group through Nai Hanshi Kata. 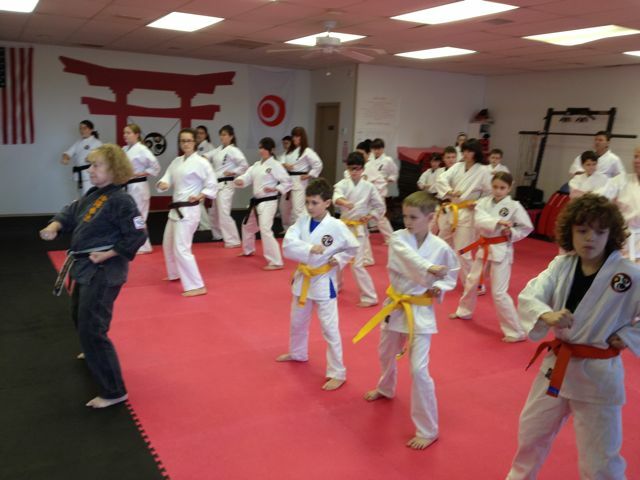 Another photo of group kata led by Kyoshi Ann-Marie Heilman.